CEDAR CITY – Worm poop. That’s the secret to what Tim Ferguson and Kelton Wood, owners of Nature’s Way Recycling in Cedar City, hope will be their success. Not necessarily just for their own sake but, more importantly they said, for the sake of Southern Utah. And maybe even the world. For $5 a month, Nature’s Way Recycling will pick up your food waste, cardboard, paper and landscape trimmings, feed it to some worms and produce a fertilizer with up to 50 percent better water-retention rates than regular soil. 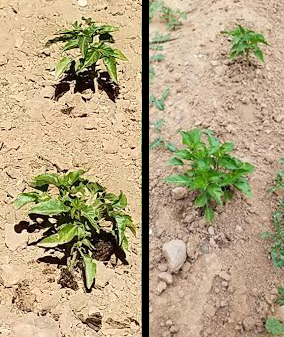 Besides the water retention, Ferguson said, compared to regular soil, the growth rate of the plants is 33 percent faster at all stages when using the fertilizer, and the yield is 30 percent higher. And that’s just the beginning. Nature’s Way Recycling has also set its sights on recycling other products either currently not being recycled at all in Cedar City, including glass, or only being handled by the recycling drop-off binnies. According to the Consumer Reports article “Spoiler Alert: You’re Wasting 1 in 4 Bags of Groceries,” food waste is the biggest component of landfills, and the majority of it doesn’t come from grocery stores or restaurants but rather individuals. In addition to money lost to tossed food – an estimated $1,500 annually for a family of four – there is a bigger global concern. 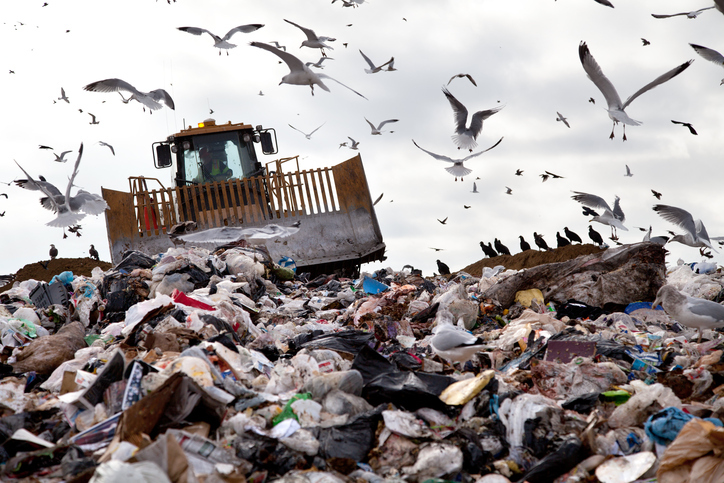 Food waste produces methane gas as it decomposes. This issue already fit into the mission of Nature’s Way Recycling to “make landfills slow, shrink and eventually …disappear.” However, the article also discusses the amount of wasted energy, labor and water it takes to produce, package and deliver this food. Both of the founders having a background in farming or ranching, and since they currently live in the already water-taxed region of Southern Utah, Ferguson and Wood thought starting Nature’s Way Recycling was a step in the right direction. Given the high water-retention rate of their product, Ferguson said, if their fertilizer starts getting added into the agricultural process, it would significantly reduce the water needed to produce the same crop. The process for making the fertilizer is something many gardeners have been doing for years. Once a customer is signed up with Nature’s Way Recycling, they will get a sealable bucket for their food waste and a bin for their paper, cardboard and yard trimmings. Every two weeks, Ferguson and Wood will collect the material, either shred it or blend it, mix it all together in a large container, dump the worms in and wait. The process takes approximately two to three months, Ferguson said, with 20 pounds of garbage coming out to roughly 15 pounds of fertilizer. 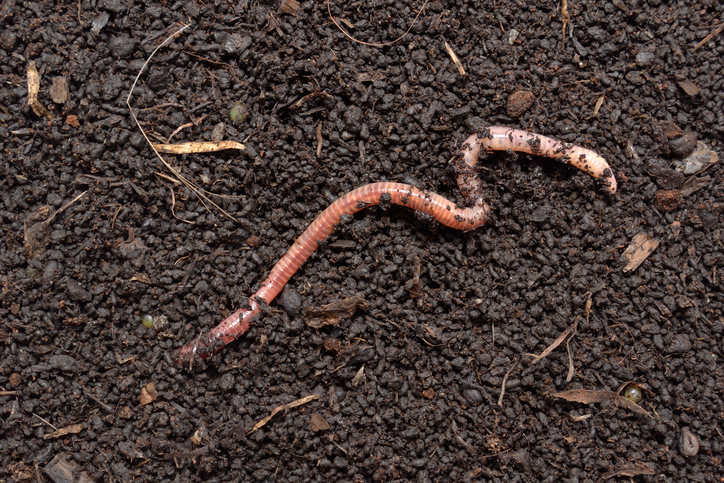 The end product, officially called “worm castings,” is fibrous and balanced. Ferguson and Wood monitor the pH levels to make sure it doesn’t get too acidic. In the beginning, Ferguson and Wood did some test runs on the fertilizer. In one instance, someone Ferguson worked with who is very picky about what they put on their garden used it in an attempt to bring back struggling peppers and watermelons. Nature’s Way Recycling currently sells the fertilizer in bags from 1-5 pounds, with plans on offering up to 50-pound bags. Ferguson said they want to keep it cost-efficient for both them and their customers. We’re looking at $5 a month for home pickups. And the fertilizer we make and sell will be cheaper than store-bought fertilizer …. We wanted to gear it that way specifically so people would say, ‘That is an extremely cheap price for a home pickup,’ and it would be something that people would be comfortable getting on board with. We want to be geared toward something that people see the value in what they’re getting. Nature’s Way Recycling has only been offering the service since April; however, as the business continues to get more customers on board, Ferguson and Wood plan to move into higher volume. In the immediate, Ferguson said, they have been contacted by Dixie National Forest representatives, who want to meet with them to discuss partnering with local schools. “They’re looking into us as a sustainable answer,” Ferguson said. In the longer term, Ferguson said, they want to move into clean recycling for all recyclables, something they would like to see within five years. However, as their website says, they can’t do it alone.